Since 1976, MacLeod Lorway has been serving the needs of individuals, families, and businesses across Nova Scotia. MacLeod Lorway came to life when C.R. Lorway and Son Limited and Stuart MacLeod Limited merged; they began acquiring other agencies shortly after. President Stuart MacLeod Jr. has been in a leadership role since the group’s early beginnings in 1976. The MacLeod Lorway philosophy has always revolved around providing individualized attention to each customer. As Stuart would say, “when you call one of our offices you will speak to a person, not an automated answering service”. Based on this philosophy, MacLeod Lorway has always been for people who appreciate insurance as more than simply coverage at a price. 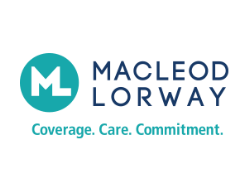 MacLeod Lorway is the insurance broker that includes personal care, understanding, and support with every policy. MacLeod Lorway has brokerages in nine Nova Scotian communities (Check our offices here). They also represent over 160 life insurance companies, allowing them to provide you with the best possible insurance rates.